A month ago I felt like I didn’t post enough shrimp dishes. 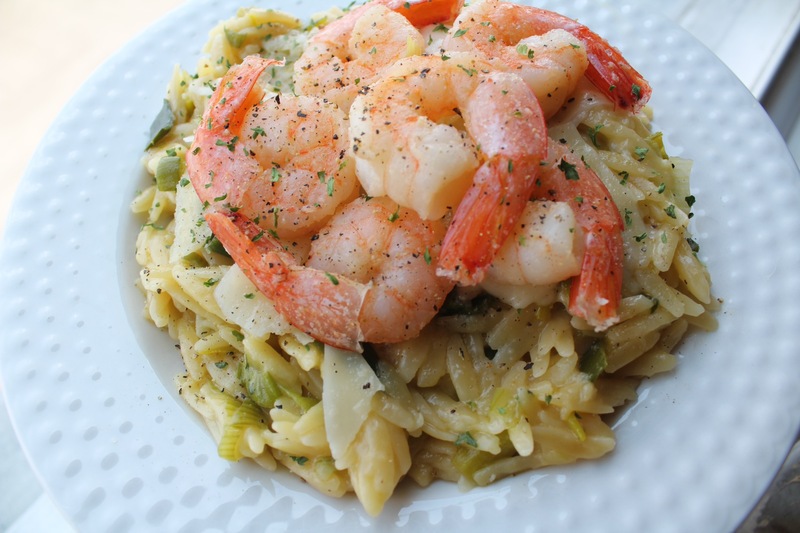 Now, I think I may have been over doing it with shrimp recipes but here’s another one. Risotto is such a heart warming dish and a blank slate for adding your favorite veggies and meats. When it’s made right, it tastes just right with a perfect fluffy texture. I used to never eat anything with leeks. I wasn’t familiar with it so I stayed far away until one day I had it raw in a salad and fell in love. If you can eat something raw and completely uncooked, you’ll love it cooked. 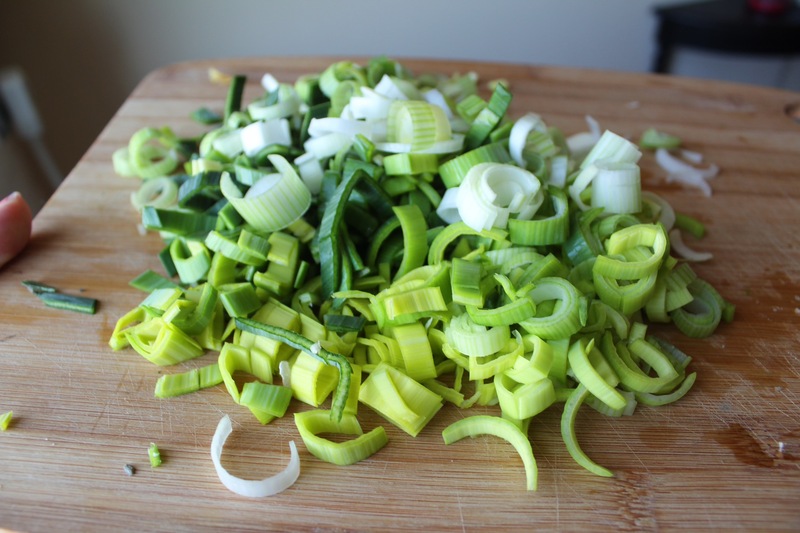 Leeks are a member of the onion family and have a mild taste that always gives the right amount of flavor without overpowering dishes. It’s important to clean them properly. They are a root vegetable so they have dirt and sand that need to be washed away. This dish wouldn’t be as tasty without sand so just do yourself a favor and fill a large bowl with cold water, cut your leeks in half length wise, and let sit in the water. Give everything a little mix with your hand to loosen things and dry completely before you cook them. If you’ve read my other Shrimp posts, than you know I prefer starting with uncooked shrimp and cleaning them myself. It’s a personal thing. You can totally start with already cooked shrimp to avoid the headache. 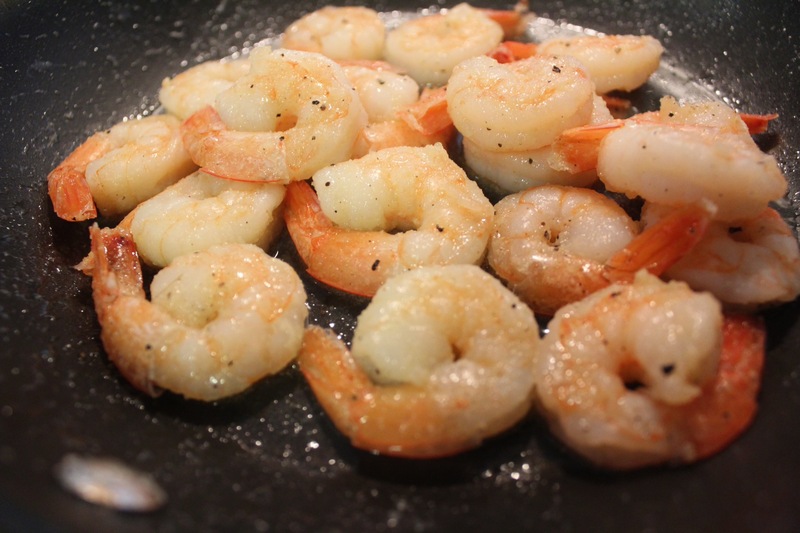 Since shrimp is the star of the meal, you want to get large or jumbo shrimp. Every grocery store has fresh seafood you can buy in specific amounts so always go with that option. 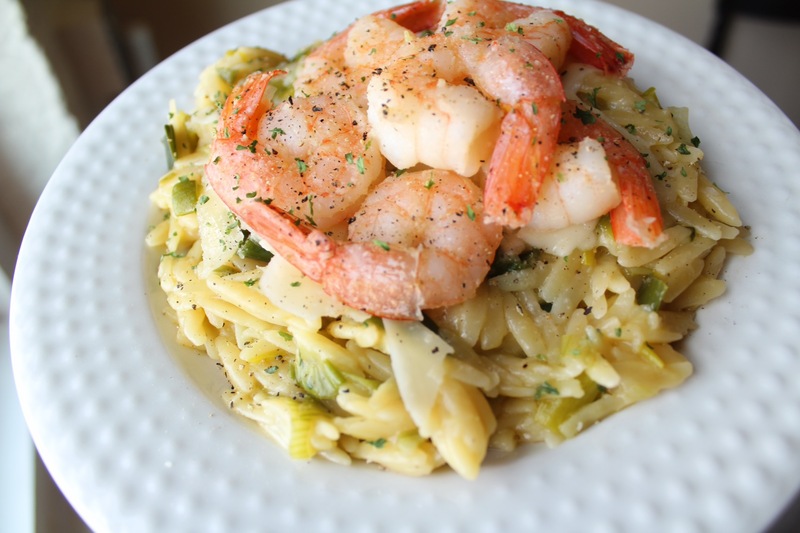 Add your orzo and mix around to coat with butter. After 3 minutes, start adding your chicken stock little by little and mix in between. Once all of your stock has been added, bring to a boil then reduce to medium low heat and put a lid on. Let sit for about 15 minutes until the orzo has absorbed all of the liquid. Add your cheese and mix. Add your parsley and mix.